Viviendas Vacacionales… what about this now? When were you last at the bakery for your blood test? Of course … no one goes to the bakery for medical advice! But when it comes to your well-deserved holiday many people still venture on slippery ice. Book with anyone and therefore do not book with a specialist. and so we can continue for a while, every week we hear the most incredible stories. with a host / hostess who has the “Viviendas Vacacionales” license. 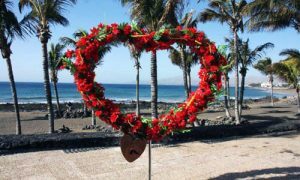 and on Lanzarote, the Viviendas Vacacionales license is a legal requirement. as a guest, you have the guarantee to be a host at a recognized holiday location. What does Viviendas Vacacionales mean for you as a holidaymaker? A place, an island, a resort that you will never forget!